By changing the way the world eats, WhiteWave Foods has a brief past but a very bright future. It's a scary thing, pulling a significant business segment out of a large, public company, then going public itself. But when your motto is "Changing the way the world eats – for the better," bold moves just come with the territory. WhiteWave Foods, which has roots back to 1977, was just incorporated in July 2012 as a wholly owned subsidiary of Dean Foods. It became a stand-alone public company three months later. But in just two years (at year-end 2013) it had increased sales 31 percent to $2.5 billion, made a number of acquisitions, including one that stretched it into a completely different category (organic produce), and created a joint venture in China. And it's on a trajectory to hit $3.4 billion in sales this year. It's tempting to call Chairman Gregg Engles a former stock broker, but he's now spent more time in the food industry (21 years) than he did on Wall Street. Still, WhiteWave's brief history shows he insists on fast results and likes to build companies with bolt-on acquisitions and other deals. That all makes WhiteWave the youngest company in our own Processor of the Year history but also the fastest growing. WhiteWave Foods has an interesting, $3.4 billion collection of product lines and brands that do indeed touch upon changes in the ways consumers eat. It has two strong pillars: plant-based foods (under the Silk and So Delicious brands) and organics (under the Horizon and Earthbound Farm brands). Add to those coffee creamers (under the strong No. 2 brand International Delight) and you have a collection of products found in the refrigerators of many younger consumers. And while once foreign to their parents, those "alternative" products are being discovered by baby boomers as they age. Plus, early this year, it formed a joint venture in China to produce plant-based beverages. WhiteWave already had a European business, the Alpro brand, focused on plant-based foods and beverages. So it's operating on three continents and sees just as much potential overseas as it does at home. Home to the North American operating company is Broomfield, Colo., midway between Denver and Boulder, near where the original incarnation of WhiteWave began. With the Rocky Mountains visible out the office windows, nearly 500 people toil in the company headquarters, and 3,800 more are employed at locations across the country and in Europe. For the purposes of this Processor of the Year story, we're focusing on the WhiteWave North American business. The corporate and European operations are separate operating segments, and we've excluded Earthbound Farm, too. WhiteWave's roots go back to Silk and Horizon Organic. Steve Demos and investors in Boulder, Colo., started what initially was a tofu company in 1977. Through trial and error, it focused on soy-based milks. The company name first became Silk, after its soymilk product, then was changed to WhiteWave, Inc. as it expanded. In 2002 WhiteWave was bought by Dean Foods for just under $300 million. Horizon Organic, the largest supplier of organic milk in North America, was founded in 1991, by Paul Repetto and Mark Retzloff. It was sold to Dean Foods in 2004. Meanwhile, Engles, the stock broker with a Yale law degree, saw an under-capitalized dairy industry with low utilization rates as ideal for investment and consolidation. He started Suiza Foods in 1993 and grew it through acquisitions into the country's largest dairy company. He merged it in 2001 with former No. 1 dairy company Dean Foods, keeping the Dean name. Engles became chairman and CEO of Dean Foods, which eventually acquired what would become WhiteWave's key brands. After engineering the IPO of WhiteWave in 2012, Engles went with the new company as chairman and corporate CEO. When WhiteWave first separated from Dean Foods, it already consisted of brands that were No. 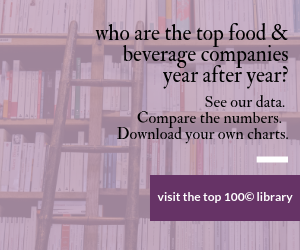 1 or 2 in their categories: Silk in plant-based beverages, Horizon in organic dairy and International Delight in coffee creamers. At year-end 2012, although only a few months old, the company had sales of $2.2 billion and net income of $112.5 million. 2013 was a quiet year for the company, but 2014 started off with a couple of bangs. On Jan. 2 of this year, WhiteWave closed its acquisition of Earthbound Farm (for which it paid approximately $600 million in cash). Three days later it unveiled a joint venture agreement with China Mengniu Dairy Company Ltd., which included the purchase (by the joint venture) of Yashili Zhengzhou, a production facility currently under construction in China, where the joint venture intends to manufacture its products. WhiteWave will own a 49 percent stake in the venture and Mengniu will own 51 percent. The joint venture intends to manufacture and sell a range of plant-based beverages in China by the end of this year. “This joint venture is consistent with WhiteWave’s strategy to expand into new geographies and provides a unique opportunity for us to access the Chinese market, one of the world’s largest consumer markets with a rapidly growing, multi-billion dollar nutritious products segment,” says Engles. For a relatively small and young company, WhiteWave has planted seeds in distant and fertile lands. First was Alpro, a Belgian maker of plant-based dairy substitutes. Started in 1980, but with roots that go back to 1973, it was bought in 2009 by Dean Foods. It made a nice complement to the Silk brands of the original WhiteWave Inc. when the latter was acquired by Dean in 2002. Alpro has factories in Belgium, the Netherlands, the UK and France and more than 800 employees. In January of this year, WhiteWave unveiled a joint venture with China Mengniu Dairy Co. Ltd., to manufacture, market and sell a range of products in China. The joint venture is 49 owned by WhiteWave and 51 percent by Mengniu. Part of that deal was the purchase of Yashili Zhengzhou, in which Mengniu already was the majority owner. Its primary asset was a production facility under construction in China, where the joint venture intends to manufacture its products. The joint venture expects to launch plant-based beverages by the end of this year and will expand WhiteWave’s plant-based presence across three continents. It's not the first overseas venture by WhiteWave. Under the WhiteWave Foods Operating Co., Dean Foods had acquired Alpro, based in Belgium. For more than 30 years, Alpro has been developing plant-based foods and beverages for Europe. The company was a European pioneer in the soyfoods category, but also claims its almond and hazelnut beverages were the first non-soy, plant-based milk alternatives to be commercialized on a large scale in Europe. Its product lines include plant-based alternatives to yogurt, cream and margarine — and all Alpro products are non-GMO certified. The Provamel brand, which it owns, is non-GMO and organic. And this Halloween, WhiteWave completed the acquisition of So Delicious Dairy Free, which also makes soy milk as well as creamers, other beverages, cultured products and frozen desserts. The last one will be a new and interesting category for WhiteWave. The culture still feels more like that of an entrepreneurial tofu or organic milk company than a $3 billion, global, public corporation. Maintaining that spirit is one of WhiteWave's challenges going forward. Despite focusing on niches of the food industry, WhiteWave is in every category of retail: traditional and nontraditional grocery stores, foodservice and convenience stores. All of this creates a complex, end-to-end supply chain, although not atypical for a broad consumer packaged goods company. Dan Poland is senior vice president of that supply chain. Although he's only been on the job since May, he held the same title with H. J. Heinz Co. for 17 years, leaving soon after the company was taken private in 2013 by invest firms 3G Capital and Berkshire Hathaway. Poland's supply chain oversight includes manufacturing, procurement, engineering, quality and continuous improvement. He oversees seven facilities (not including what at the time of our meeting was the pending So Delicious plant in Eugene, Ore.). "It's a very holistic approach," he says. "It's all the things you have to do to protect the brand, protect the business and satisfy the customer." His biggest challenge – he of course prefers the word "opportunity" – is keeping up with WhiteWave's growth. "Most people who sit in my job don't talk about growth, they talk about saving money." Three big plants – in Dallas, City of Industry, Calif., and Mt. Crawford, Va. – do the bulk of manufacturing, "Each of those can run about 80 percent of our portfolio," Poland notes, using process techniques such as high-temperature/short-time (HTST) and ultra-high temperature processing common to dairies, direct and indirect steam injection, plus aseptic single-serve and portion control creamers – "every technique known to fluid processing," he says. "They're very efficient, very agile facilities, perfectly located for our markets." Smaller facilities – Poland calls them "centers of excellence" – are in Jacksonville, Fla.; Bridgeton, N.J.; and Scottsdale, Ariz. (which makes creamer machines for convenience stores. As we visited, the company announced the acquisition and overhaul of a plant in DuBois, Pa., which will make cultured products. Altogether, the now eight plants "run 70-75 percent of our products," says Poland. But he also must oversee 60 or more co-pack locations that account for the other 30 or so percent. Use collaboration. "You have different business units, different products, different expectations. You must constantly collaborate with them, with finance, with HR to get the job done well and efficiently,” says Poland. He also notes the powerful role supply chain plays in sustainability. "The supply chain can really drive a company's sustainability initiatives, partnering with our supplier base and finding creative solutions in our plants" he adds. In the second half of 2014, he was implementing a warehousing strategy, attaching a distribution center to each of the three main plants. Mt. Crawford had just been completed. "It's generating considerable savings for us by being attached to that plant," he said. "We'll do the same at the other locations so we can optimize our distribution and warehousing costs." When we visited the Dallas plant, in October, that plant was constructing its distribution center. City of Industry will be next. "We're growing very fast and we need to keep up with that growth," he says. As it did after the 2013 spinoff from Dean Foods, the dust has settled for now. Integrating the Earthbound Farm and So Delicious acquisitions and managing the Chinese joint venture will take some time, but WhiteWave is enthusiastic about the future. WhiteWave, our Processor of the Year, see a future filled with organic, plant-based foods. $195 million paid to Wasserstein fund; adds to Silk line. WhiteWave is building a world-class research center in Colorado.